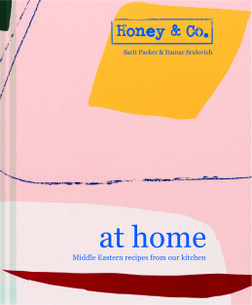 This year we are introducing long table dinners to our Festival and are thrilled to welcome Sarit Packer and Itamar Srulovich, the award winning chefs and authors behind Honey & Co.
Sarit and Itamar, celebrated London restaurateurs famed for showcasing traditional Middle Eastern dishes, will be at River Cottage for the first time. We are excited that they will be hosting the Saturday evening Feast Over Fire. They will be reverting to traditional methods cooking the majority of the feast over fire, including mouth-watering dishes from their latest cookbook Honey & Co. At Home. Join them and other guests at their table by the Fire Pit for a celebratory ‘Salcombe & Tonic’ from Salcombe Gin followed by an incredible three course Middle Eastern inspired supper. Please note, you must have a festival ticket to gain entry to the Feast, unfortunately membership discount can not be applied to this event. The long table feasts will take place at the Fire Pit, this does have a shelter but will still be open to the elements so please come prepared. Please arrive at the Fire Pit for your Salcome & Tonic at 6pm. The Feast will wrap up around 8.30pm giving you time to head over to the Meadow Stage to enjoy the live music. As always we will do our best to accommodate all dietary requirements and there will be a vegetarian option available for each course. However, please be aware that during the Festival we cannot operate our usual dietary procedures. The Feasts Over Fire will take place at the Fire Pit. There will be a licensed bar available throughout the evening. There will be a vegetarian option available for each course. However, please be aware that during the Festival we cannot operate our usual dietary procedures so will not be able to cater for any other dietary requirements.